Orient Overseas (International) Ltd, the parent company of Orient Overseas Container Line, has unveiled a loss following its new status as a part of Cosco Shipping. For the first six months of 2018, OOIL and its subsidiaries recorded a loss attributable to equity holders of US$10.3m compared to a US$53.61m profit for the same period in 2017. The loss come of revenue of US3.1bn and is largely attributable to increased costs, which served to negate an improved trading environment. OOIL is relatively sanguine about the possible impacts of “so-called trade wars.” Summarising the East-West trade lanes the company said it was encouraged by the strong cargo growth and the robustness of global economies, not least the USA. 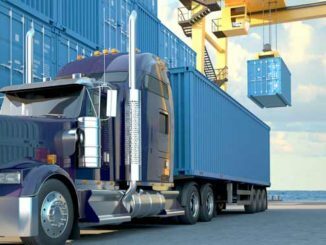 “It may well that the impact on containerised transport will be less than some fear, on the grounds that goods transported in containers often tend to be higher volume but low value,” OOIL stated. 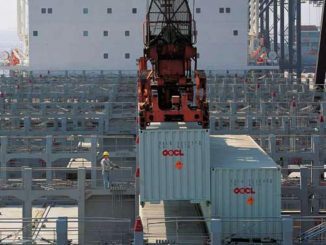 Compared to the first half of 2017, OOCL liftings increased by 6% whole load factor reduced by 3.1%. Revenue levels per teu increased by 3.5%. Improvement in the Intra-Asia trade in recent years is likely to see the company reinstate services that were cut in 2016/17 in order to capitalise on increased demand in Korea, China and even Japan. Countering a relatively benign if not exciting global trading pattern was the perennial burden of capacity oversupply and the emerging risk of higher fuel costs. Supply side growth continued at a significant pace, with total capacity levels remaining a risk factor in the future, even if newbuilding deliveries look likely to reduce markedly in the coming two to three years. In creased costs have also hurt profitability: the higher price of oil has increased costs, and equipment repositioning costs have been amplified by the increasing imbalance between strong headhaul growth and stable to weakening backhaul growth,” the company stated. 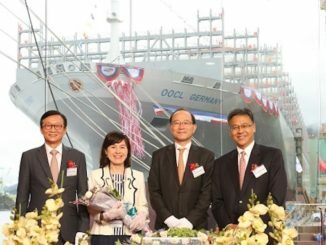 Despite concerns about oversupply OOIL’s new chief executive, Huang Xiaowen says there are plans to buy new 20,000 teu vessels to boost the OOCL fleet to 1m teu. The average price of bunker recorded in the first half of 2018 was US$383 per ton compared with US$306 per ton for the corresponding period in 2017. As a result of the rise in fuel oil and diesel oil prices, bunker costs increased by 26% in the first half of 2018 when compared to a year ago. A strong performance by OOCL Logistics was instrumental in easing the impact of the increased costs of the shipping operations. 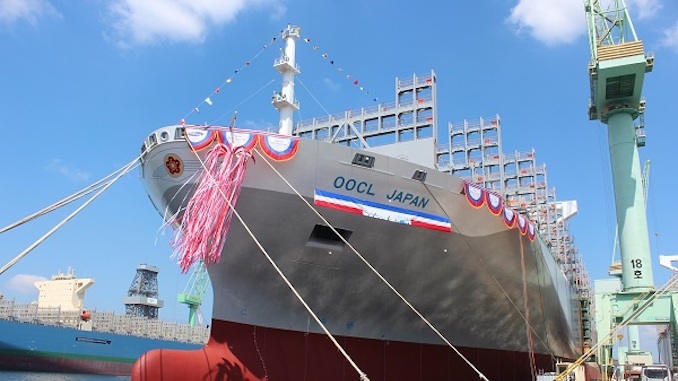 OOCL’s logistics division recorded an increased profit of 113%. “I believe that after OOIL becomes a member of Cosco Shipping, we can effectively combine the respective strengths of OOIL and Cosco Shipping Lines and optimize our global network, thereby achieving greater economies of scale and synergies. “This will not only enable both companies to enhance the overall profitability and promote the sustainable development, but will also allow us to offer customers more product choices. They can thus experience our better services.We have made “six undertakings to preserve the integrity of OOIL”. “It is an important decision which reflects our full confidence in the management of OOIL and the quality of its employees. In the future, OOIL will surely continue to maintain high operating standards, high standards of services and leading IT capability. “The strengths of OOIL’s international, professional and high-caliber talent team will be retained and further unleashed, so that the management and operating capability of the company will be strengthened in tandem with its fascinating growth.OOIL will thus become more competitive and effective, exert greater influence in the market, and provide customers with first-class products and services as before,” he concluded. As an interim measure as the new larger operation beds in Andy Tung will share the chief executive role with Huang Xiaowen, executive director and vice chairman of Cosco Shipping.